Imagine your child needing heart surgery, brain surgery, or another form of highly complex surgery requiring not only a skilled surgery team, but also the technology, equipment, and post-operative care needed to support successful healing. For parents confronting this circumstance in low resource countries where there is neither the expertise nor medical center facilities, the options are scarce. World Pediatric Project's Patient Referral Program links access to care for these children in our partner countries with often highly complex and/or urgent surgical intervention situations to advanced pediatric hospitals in the United States and internationally. Each year WPP International teams, together with the medical community in WPP partner countries, identify more than 100 children for care in this program, with critical specialty care needs in most every surgical specialty ranging from neurosurgery, cardiac surgery, eye surgery, cranio-facial surgery, plastics and reconstructive surgery, and orthopedic surgery for complex orthopedic conditions such as Blount’s disease and scoliosis. World Pediatric Project supports this program through a strong network of 24 partner hospitals to provide the same quality advanced medical care we all would desire for our own children. WPP’s hospital partners know and trust that WPP will compassionately and professionally manage the care and treatment process for these children from the first moment of identification and screening, all the way through surgery, post-operative management, and emotional and logistical support during their stay away from home, and monitoring upon return to their home countries. Every WPP patient is monitored through WPP’s patient database to support the required and consistent follow-up care until the age of 21. By providing each child the opportunity for continued care, we’re able to see them grow into healthy, happy adults – a living testament to the investment WPP donors and our partners make not just in the child’s life but in their community as well. 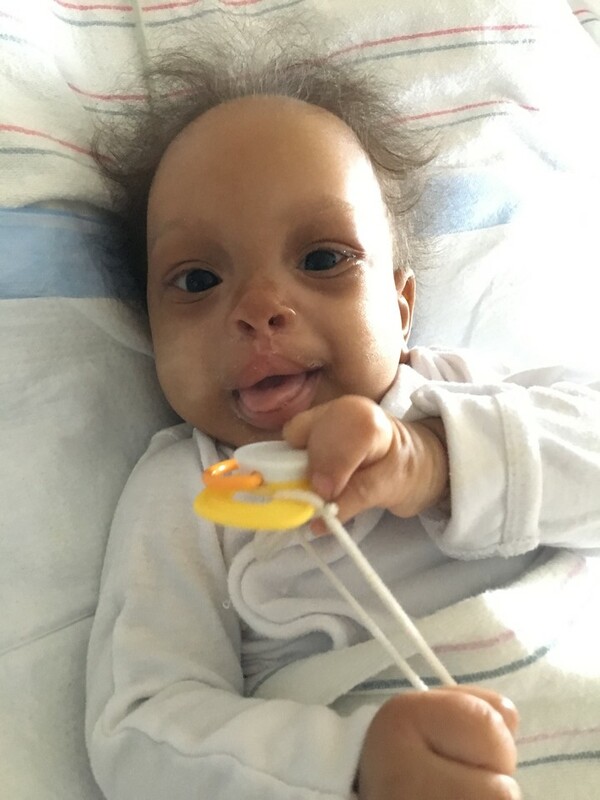 4-month-old Kirani from St. Vincent shows off his sweet new smile after surgery to repair his cleft lip in Richmond this past July. Kirani and his mother returned home to the love and support of family on Sunday, ready to get back to their everyday routine. We look forward to seeing Kirani in St. Vincent for follow-up care this fall. What makes WPP unique is linking children in our partner countries to nearly all areas of pediatric critical care. Because many medical conditions suffered by children are multifaceted and complex, nearly one third of all WPP patients are seen by more than one type of pediatric specialist.